Wirecast 8 adds a boatload of new features. Drip makes calls to action in email easier. Vimeo acquires Livestream. Leadpages let's you sell right from your landing pages! Welcome to This Week in Online Business Tech! Bringing you all the news about the tools you use. Wirecast 8 is here! With a ton of new features and updates to make your live broadcasts (and life) even easier. We designed a ton of new tools just for you. Like new powerful new peer-to-peer conferencing, social media engagement features, iOS app, new audio capabilities and more! With tons of new features, we know you’ll love this new version as much as we do. 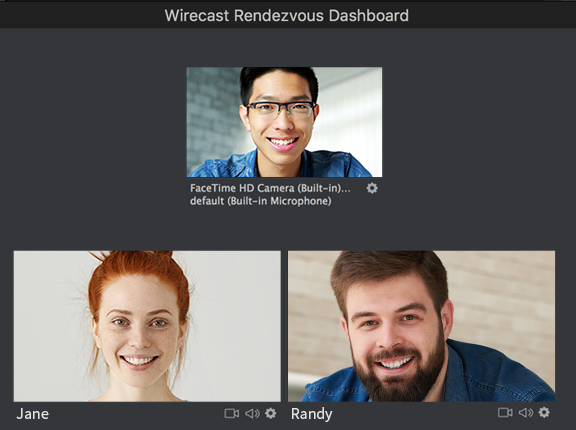 Introducing Wirecast 8: New Peer-to-Peer Conferencing, Facebook Live Comments, Multi-Viewer and More! We want you to be able to craft beautiful automations in as few steps as possible—and we think we knocked that goal outta the park this month. September’s product updates focus on making your Drip experience easier than ever. The bulk operations one is really helpful for when you want to apply of clean up tags without triggering automation rules that might be tied to them. After abandoning its plans to launch a subscription video-on-demand business earlier this year, IAC-owned streaming video site Vimeo announced today that it’s acquiring the live video streaming platform, Livestream, and launching its own live streaming product, Vimeo Live. This is a very smart move by Vimeo. If you aren't familiar with Livestream, they provide hardware, software, and a enterprise-grade content delivery network for live streaming. The last part, the live streaming network seems to be what Vimeo was most interested in as they basically had no presence in live video prior this acquisition. Livestream's hardware and software look like they will continue to be supported. The use cases for Vimeo Live are interesting and really depend on how much you want to trust the large platforms such as YouTube and Facebook. You can certainly host large live events on those platforms but the options for embedding them into your own site, private chat, phone support, and so on are quite limited or nonexistent. I can see a lot of scenarios for medium sized and larger business. For the solo entrepreneur, going with Facebook Live or YouTube Live generally makes more send. Where it may apply to smaller online businesses are those of us planning membership sites or private groups. With Vimeo Live you can restrict access to live streams so this provides a way for private live events not dependent on a Facebook Group. Definitely something to look into to see if it provides you capabilities you can't get on other platforms. Over the past year, we’ve been focused on helping businesses connect with today’s buyers through real-time conversation. If you are not familiar with Drift, it is an on-site messaging application that allows you to interact with visitors to your site. It competes with Intercom, LiveChat, and others. Drift has developed very rapidly into a powerful platform, I'm in the process of implementing it on this site. In this update, Drift allows you to add special links in your emails. When your reader clicks those links and go to your site, you can configure custom chat greetings or messages personalized to them. Even full message sequences, which they call playbooks, can be triggered. This can provide great continuity from your email into actions you want to guide people two on your site. While the article talks a lot about sales reps using this, think about some of the other ways it can be used. If you are a Leadpages user as I am (and affiliate) then this is big news. With checkouts, you can add basic e-commerce capability to your landing pages and even Leadboxes. This works through integration with Stripe for credit card payments. What makes this really interesting is when you integrate it with Leadpages' lead magnet delivery functionality. What that does is let you upload something like a PDF or any other type of digital asset and Leadpages will deliver it to your users when they opt-in. Combining the two, now with Leadpages alone you could sell ebooks without having to worry about e-commerce plugins, secure file storage, or any other hurdles. It can all be done within Leadpages. Especially for anyone just starting out in online business, this reduces the complexity level greatly. I also think this is likely just the beginning of Leadpages (and Drip) evolving into a more complete online business platform. If you had to start from scratch– with everything you know now– what would you create? In this new experience we were able to add advanced functionality like conditional branches, triggering events when a tag is added, and using exact dates in a sequence. 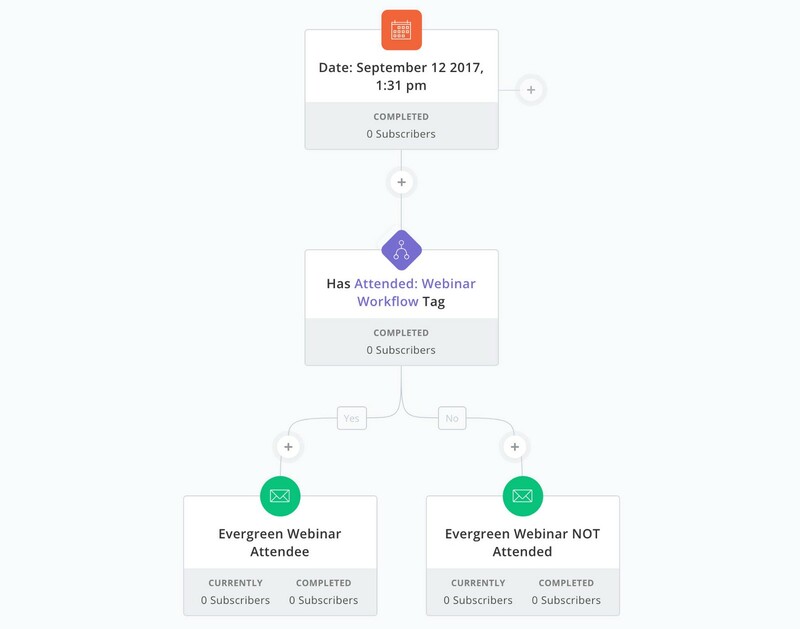 ConvertKit is upping their game when it comes to automation with their release of visual automations. This has been a weak point in ConvertKit compared to Drip and ActiveCampaign. It was the main reason I moved from ConvertKit over to Drip last year. Now that they have a visual designer and the basics like branching and logic based on tags, they are now very much in the game with the more advanced solutions by building on their strength: simplicity and ease of use. ConvertKit has always been way better than the entry level solutions like AWeber but has always been far behind ActiveCampaign and Drip in advanced features. Now they are much closer. One of the reasons I remain an affiliate of ConvertKit is that I think they are the best solution for anyone just starting out in online business all the way up through very successful bloggers. Another reason I like ConvertKit is that they are forcing their competition such as Drip to up their game. If I had you compile a list right now of social media channels, most important to least important, which would rank at the top? For almost everyone, that answer would be Facebook. Now another question—which would be at the bottom? Ad Espresso has published a fantastic guide to YouTube. This could easily have been an ebook, it's packed with that much great content. After outlining why YouTube can be a critical element of your online marketing, the rest goes into detail on how to set up your channel, how to upload and optimize videos, SEO for YouTube, how to setup monetization, and more. A 30 minute read will put you ahead of 98% of YouTube marketers. Do you ever find yourself doing similar processes over and over again but often forgetting a few important steps? Do you outsource any tasks to a virtual assistant but spend more time checking their work than if you had done it yourself? If so, then my tech tip of the week is for you to check our Process Street (affiliate), one of my absolute favorite tools. Process Street helps you create process templates, run multiple instances of the template as checklists, track progress, and collaborate with your team. I have been documenting all of the processes I use in my business, especially all of the ones that I have my virtual assistant or other freelancers perform. This assures me they have step by step instructions to follow and a way for me to track their work. There are an infinite number of ways to automatically promote your content but some of the simplest and most reliable are using IFTTT recipes. With this recipe created by the WordPress team, every time you publish a new blog post, IFTT will automatically share it on Facebook, Twitter, and LinkedIn.